Whenever I get a chance, I love coming up with new designs for painting rocks. And with Valentine’s Day just around the corner, this gave me the inspiration I needed to make these love-ly painted rocks. 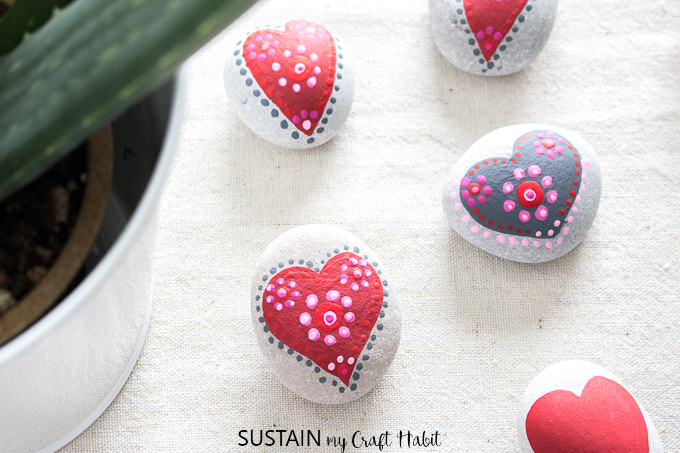 🙂 These easy rock painting ideas, with mandala designs, are a great way to relax, be artistic and make a perfect craft for Valentine’s Day. Or any day really! This past year, there has been a surge in rock painting with mandala rocks at the top of the list. Mandala, which most literally means “circle”, represents the universe in both Hinduism and Buddhism and is often used as an aid for meditation. The combination of colors, patterns and texture create a beautiful affect that you can’t help but admire. 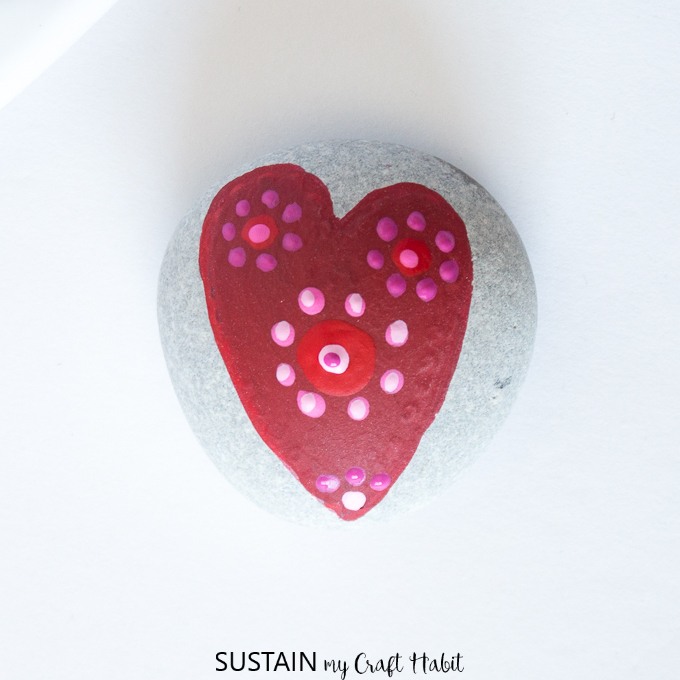 I wanted to incorporate the small dots present in mandala paintings into these heart painted rocks to give them a unique look. You can use the same mandala designs shown below but with varying colours to make all kinds of different rocks. 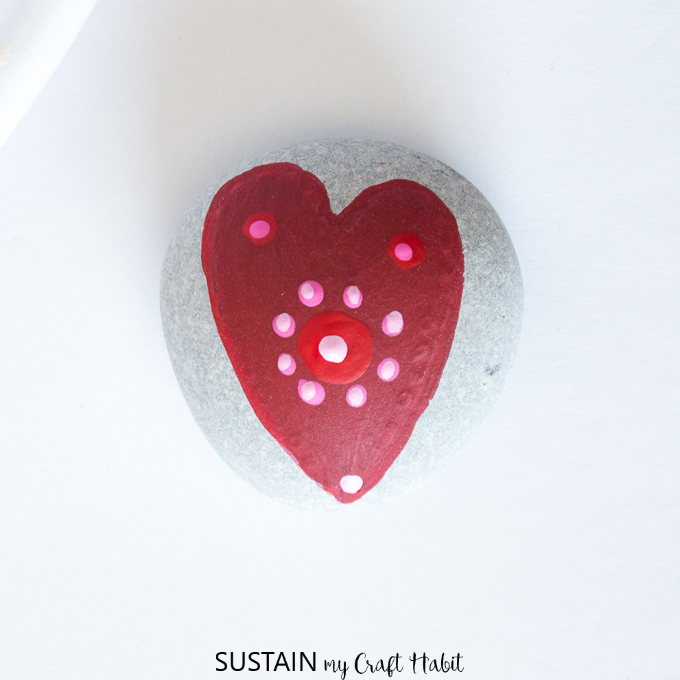 If you also love painting rocks, consider sharing the craft with someone you care for by making them a rock painting craft kit! We also have over a dozen Christmas rock painting ideas as well as some watercolor painted pumpkin rocks to try. Let paint fully dry between coats and before changing to a new color. 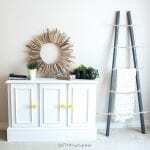 Use a fine tipped acrylic paint brush for this project. To paint the small dots, just lightly lower the tip of paintbrush to the rock. 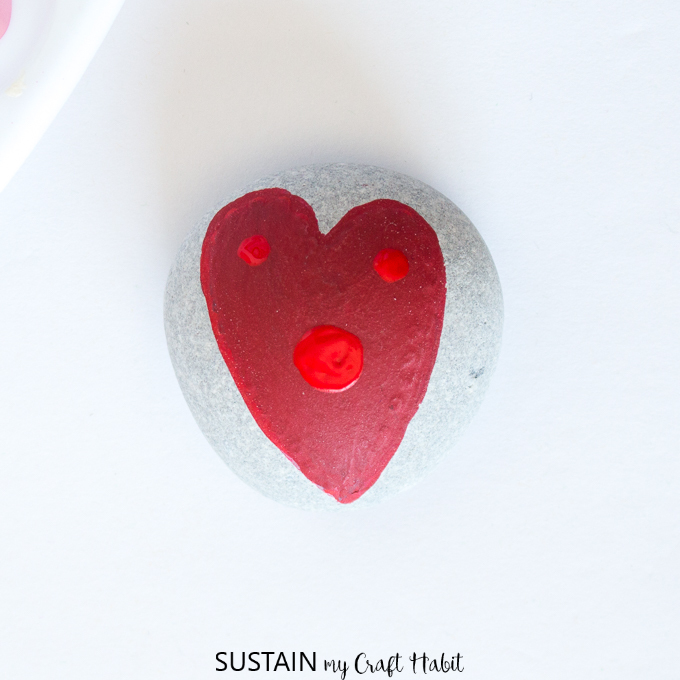 Using Primary Red, paint a heart on to the center of the rock. Dip the paint brush into True Red and paint one medium sized circle in the center of the heart and two additional circles towards the top. Dip the paintbrush into Carousel Pink and paint small circles around the center true red heart, evenly spacing the dots apart. Now take the paintbrush and dip it in Baby Pink to paint even smaller dots in the center of all the Carousel pink dots, in the center circle and one small dot at the base of the heart. Next, dip the paintbrush in Royal Fuchsia and paint small dots around the two upper true red circles, one dot in the center of the rock and 3 dots just above the base of the heart as shown. Using True Red, paint small dots around the inner perimeter of the heart. 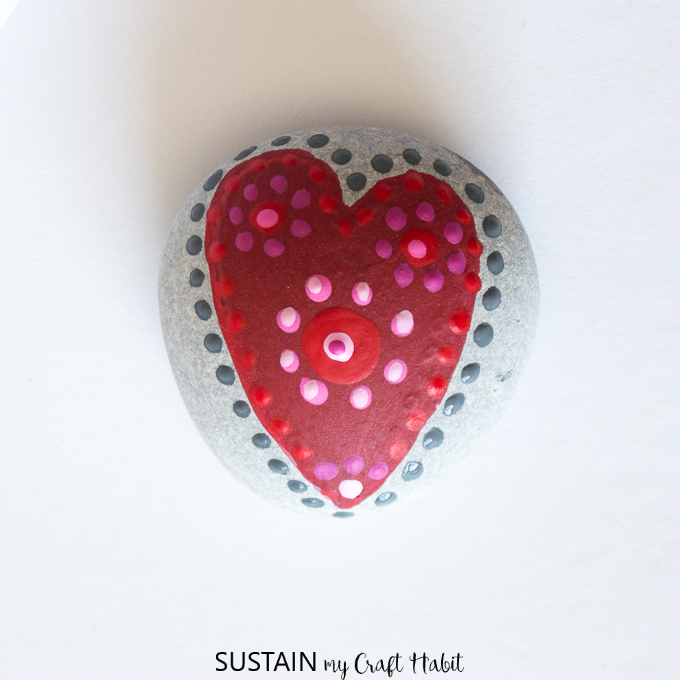 Using Zinc, paint small dots around the outer perimeter of the heart. 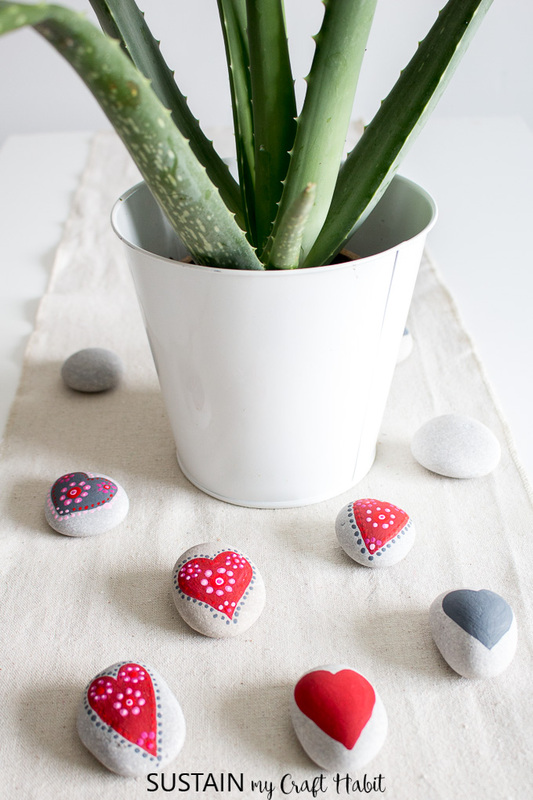 I like to sprinkle these painted rocks throughout the house or in flower pots just simple because they make me happy. My daughter and I have even taken them to the nearby park and left them on benches and flower beds for others to enjoy. 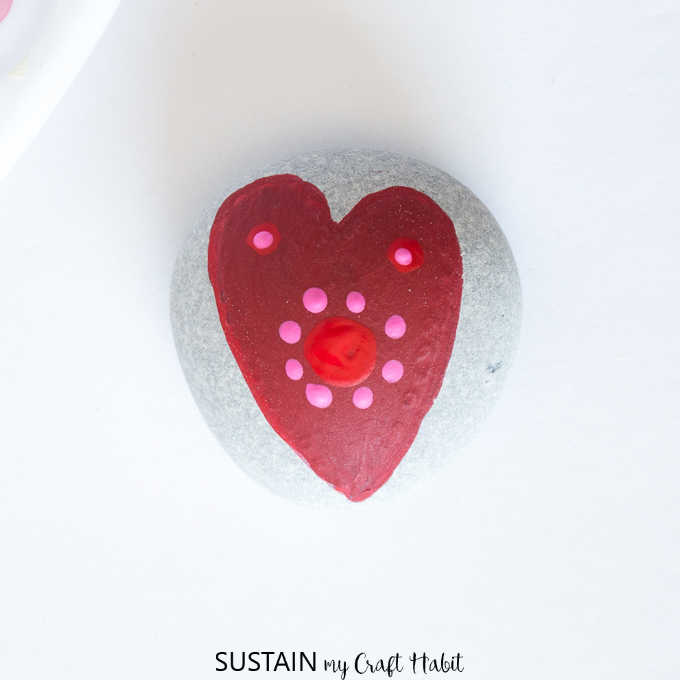 What do you do with your painted rocks? Oh, before you go, you have to check out these painted shark rocks we made last summer that the kids played for hours with on the beach! 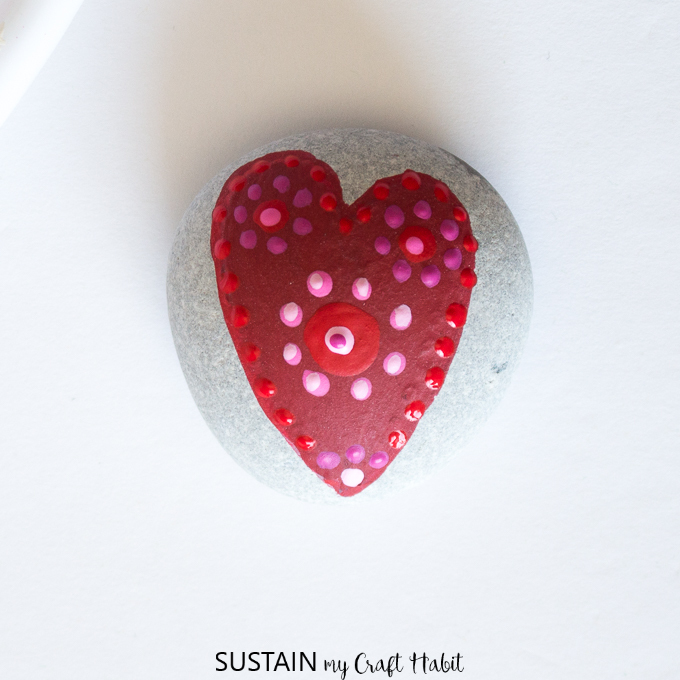 And be sure to subscribe below to see more easy rock painting ideas we have coming soon. Oh my, what beauties. I love all of them. That’s so sweet, Ivory. Thank you so much for your comment. 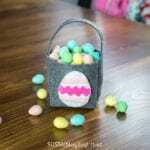 Super cute, and easy project idea! 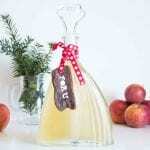 Perfect for leaving for others to find, for painting with kids, or for a quick, Valentine’s Day gift or decoration. Love them! Pinned, and definitely something I want to try! Thank you, Alexandra! My daughter and I love leaving them for others too find as well! I just started painting on rocks. You hearts are a great take off on the Mandala style. My best find is using the dotting pens that are used in nail salons to make dots! Thank you, Lynne! That’s a really great tip for doing the dots, I’ll have to give that a try next time. 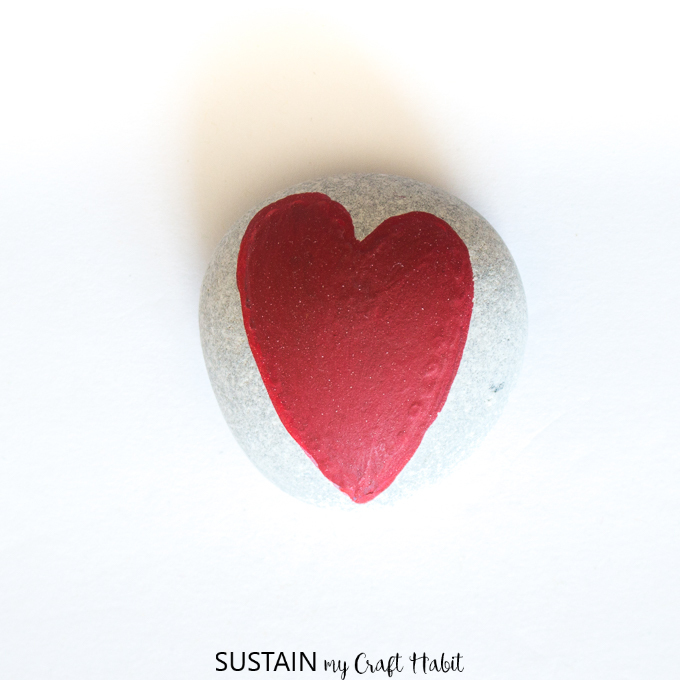 Love your rocks!! Somewhere along the line I learned to make great dots by flipping my paint brush over and using the other end of the paint brush. All the dots are pretty much the same, unless you swirl it around. Try it out! That’s a great tip, Kat! 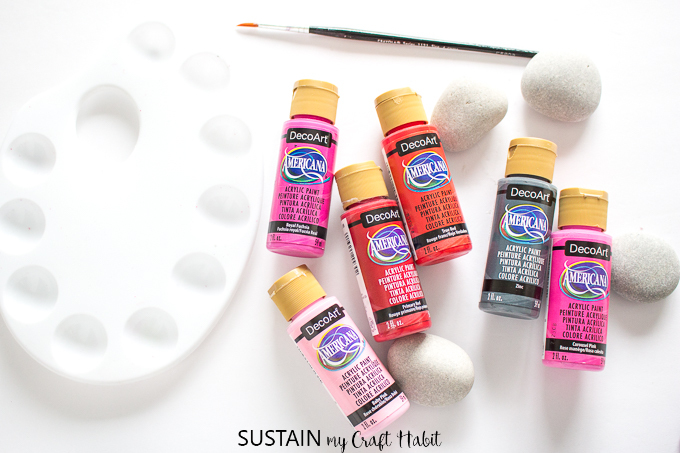 I will definitely give that a try the next time I need to paint small dots. Thank you!